Fishbites drops into Santa Rosa County in the Florida panhandle. 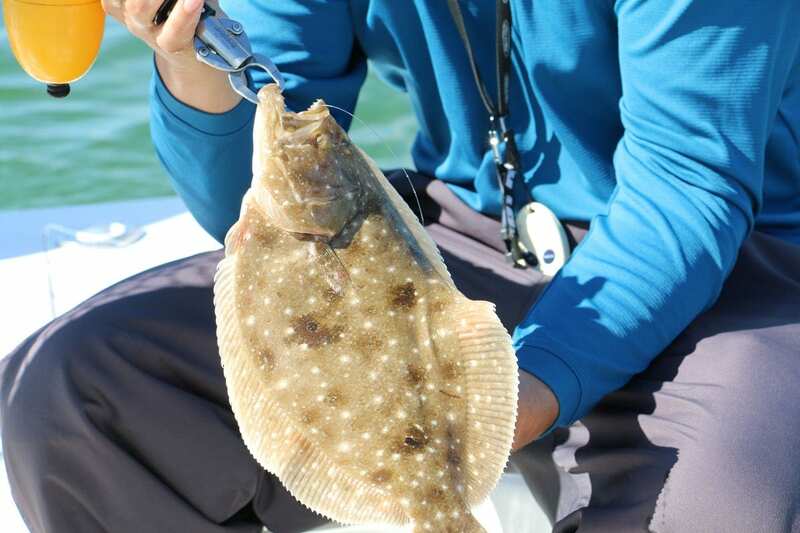 We fished the Pensacola sound and found several flounder and many slot sized redfish. While we were fishing at the pass, Shawn had a flounder on almost every cast, mostly smalls, but a very consistent bite. We then traveled up through the docks and pulled out about 35 reds over two days. The reds were catch and release of course but we did take our limit home for the grill. We used all colors of the Extreme Scent Shrimp Baits and paddle tails. We also hit several using different colors of the 5″ jerk baits. Very productive fishing trip. Beautiful water and great looking fish! We spent the two days with Captain Patrick “Shawn” Mistovich, PM3 Fishing Charters. Captain Shawn is a lifelong resident of Santa Rosa County. He is a devoted husband and father of two boys. He has over 20 years of experience fishing the local waterways of Northwest Florida. He is an accomplished Redfish Tournament angler and avid outdoorsman. Captain Shawn takes great pride in teaching and sharing his local knowledge in God’s great outdoors! Your day on the water will be spent on board a spacious and dry 2020 Blazer Bay boat. It comes equipt with all the up to date necessities and plenty of dry storage to make your day on the water comfortable and enjoyable! If you would like o try a trip in and around the Pensacola fishery, and try out the Fishbite’s line of baits, give Captain Shawn a call, (850)232-7333.